The first two titles in a new series based on the show airing on NBC’s Discovery Kids* Saturday morning lineup. When their charter plane crashes and the pilot vanishes, a disparate group of teenage survivors must figure out how to get along–if they want to survive. 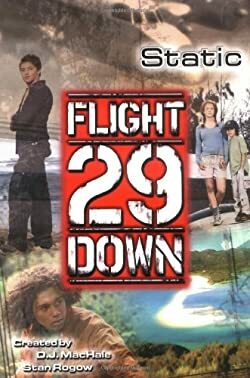 If you’re stranded on a deserted island with hardly any food or water, without a signal, you might find yourself aboard Flight 29 which, due to bad weather, crashes on a deserted tropical island. While the captain takes some kids with him to try and get help, other children are left on the plane. The story shows how children learn to deal with their dire situation when there is almost no way out from any of it. A fun children’s survival book based on a TV series.